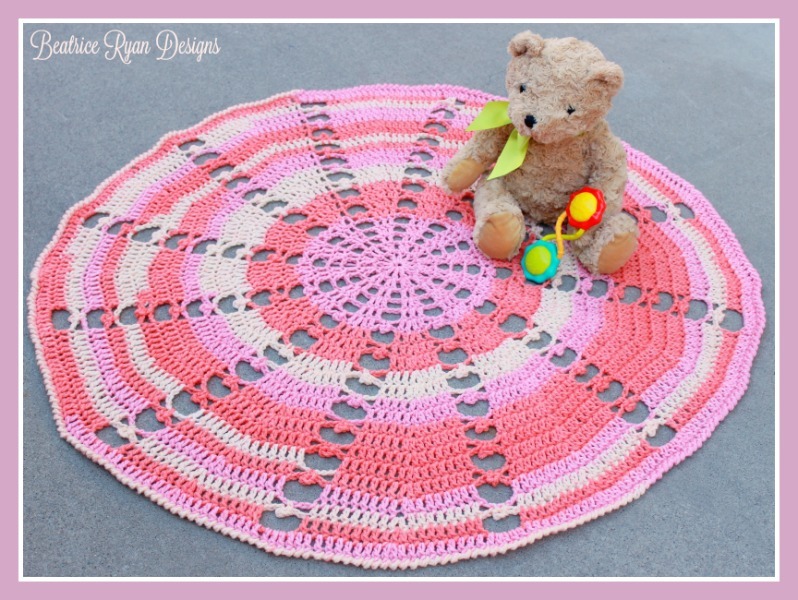 Sugar Wheel Baby Blanket… Free Crochet Pattern!! Recently I received 2 skeins of Premier Yarns Sweet Roll in Cream Pop!! This is a very soft worsted weight yarn that is self striping in 3 colors, and has 245 yards in each roll…. When I opened the box, I envisioned a sweet little baby blanket that would be perfect in these colors!! I love how it turned out… The weight of the blanket in this yarn is just perfect and I love how the colors worked with my design!! As you all know, I am a huge fan of self striping yarn… No ends to weave in when the color changes!!!! I can’t wait to try Sweet Roll yarn in some other color ways for more projects!! Yarn: 480- 500 yards of worsted weigh yarn – I used 2 full skeins of Premier Yarns Sweet Roll in Cream Pop… Every bit was used! Round 23: Reverse sc around, join with sl st. Congratulations!!! You now have a sweet Sugar Wheel Baby Blanket!! Make sure to post your pictures on the Beatrice Ryan Designs Facbook Page!! As usual, Charlie was excited to help with pictures!! 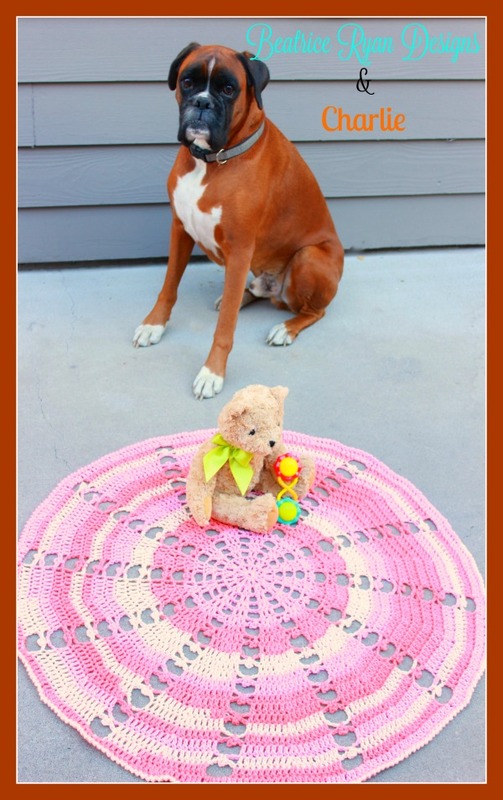 Mountain Streams Baby Blanket… New Free Crochet Pattern! !